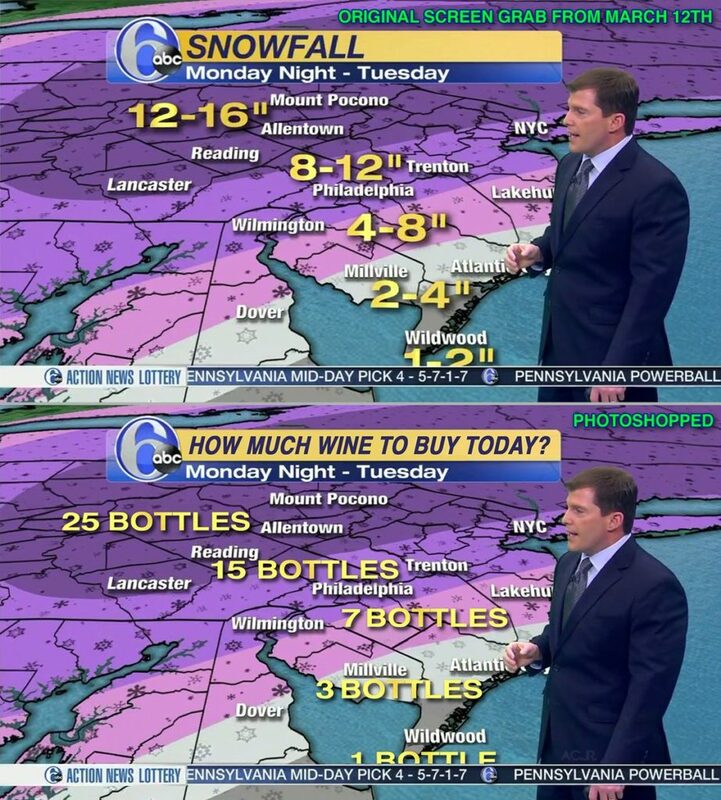 Philadelphia forecaster Chris Sowers offered up a “wine forecast” for soon-to-be-snowbound viewers back in 2017. Sowers was also Photoshopped into a “pierogi forecast” in 2018. 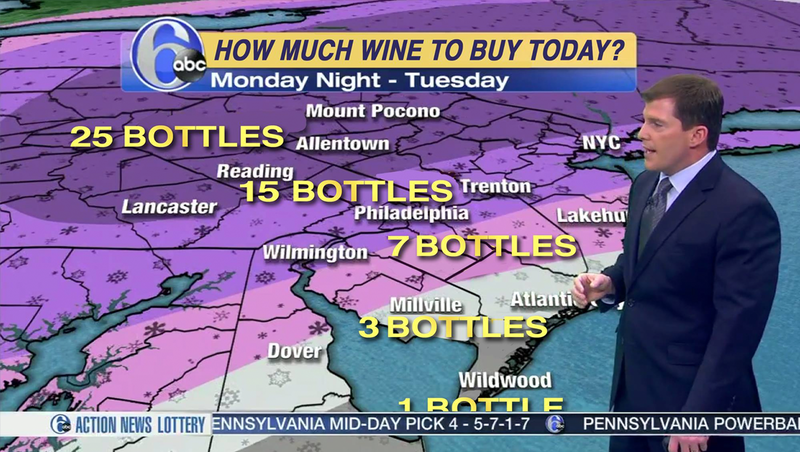 The graphic, which was posted to the WPVI meteorologist’s Twitter profile but has since been deleted, featured what appeared to be a typical weather map with purple and gray bands depicting projected snowfall amounts — except the bands were labeled with the number bottles of wine to purchase — ranging from one all the way to 25. Much of the Northeast, including Philadelphia, is expected to be slammed by a late winter snowstorm. The graphic, which was created by a WPVI viewer and shared with Sowers, was tweeted by the weathercaster and then later deleted.